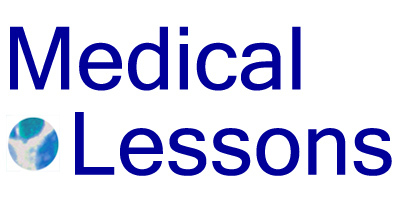 Medical Lessons – The “Survivor” Term After Breast Cancer: Is There a Better Expression? I hope this post will be the start of a long conversation on breast cancer survivorship. The question is, what’s the right, PC and emotionally-sound, sensitive but not sappy term to describe the situation of a person who’s living after breast cancer? Some might say, who cares if you’ve had it? Once, about six years ago, a colleague – an oncologist in my community – I met on the street stopped and asked me how I’d been. I said, well, I’d been out for a while because of some health problems. I mentioned that I had breast cancer among other things. “Who doesn’t have breast cancer?” she quipped, and then we talked about medical offices. So what? was her point. Sure, everyone’s got stuff by the time they approach their 50th birthday. Life would be pretty boring if we didn’t. And my personal history happens to include BC. Why it matters, at least in my situation, is that I’m writing about health issues including breast cancer. So I think it would be deceptive to not mention this loaded “credential.” In a few weeks I’ll be teaching med students again, and although I don’t think that episode of my life is central to my capability as a teaching physician, I do think (and hope) it makes a difference. A lot of women, me included, have major physical changes upon undergoing treatment for BC. My hair was curly for most of a year. My breasts are gone. My bones are thinner and I’m estrogen-deprived. Sound depressing? It is, for as many as 30 to 40 percent of women at some point after their diagnosis. It’s not a minor experience in the physical, emotional or life-changing sense. TV aside, the problem with the “survivor” term is that, maybe, it implies some sort of heroism or strength. But as an oncologist who happens to have had good insurance, knowledge and friends in the field, I just see it as, largely, the luck of the draw: there’s no reason for me to survive while another woman struggles and succumbs to metastatic disease. I can’t deny to my readers, family, friends and others that I’ve had breast cancer, because it does affect my writing, feelings, capabilities and outlook. But I wish there were a better term for my status. As an oncologist, your experiences with breast cancer are relevant to your readers and students. Yes, the term “survivor” has leaked into the jargon of our self-help, confessional society. I think the term functions as a substitute for “victim” to lend the force or control or “empowerment” — let’s not get diverted into a semantics debate about what that is supposed to mean — concerning having the “C” thing. Oy another verbal challenge to find a word that neutralizes a frightening reality! My feeling is if word is offensive and feels snarky, avoid it, even though others may not. Your readers will appreciate your honesty in sharing your experiences and the successful outcome of your treatment, even while acknowledging the role played by randomness and good fortune. Teaching medical students to respect the ability of patients to hear the truth of their illnesses without patronizing detachment and avoiding obfuscating euphemisms seems to be a very worthwhile teaching goal. I hate the whole “survivor” mythology that we have constructed around cancer. A person who dies of cancer has died after a “heroic” battle; may she rest in peace. It sounds silly to me. I told my wife that I want this written on my tombstone: “Here lies Mitchell Ehrenberg. He was a coward in the face of cancer and is now dead”. I don’t have cancer and I don’t know what she will want to write on my tombstone, but I don’t want to be eulogized based on my medical choices in the face of serious illness. Why do we lionize people who happen to live when others perish from the same illness? And why only cancer? We don’t say the same thing when someone has congestive heart failure or AIDS. I agree emphatically that ‘survivor’ isnt the right nomenclature either. It implies I know my cancer will never come back – and that I was somehow heroic when I was diagnosed and when I underwent surgery. I sure wasn’t. And I don’t like the way my breast looks, or the fact I can’t shake the 15 lbs I gained on Arimidex. I’m both vain, and I’m NOT HEROIC. It’s going to take me years to recover financially and emotionally for how ‘heroic’ I was not when I got breast cancer. As for names: I’ll mull it over. I think those present-tense expressions should be reserved for people who are actively receiving treatment. On medical charts, what we write is something like ” history of BC, stage X with features described, s/p treatments R, S and T…” But that obviously won’t work in the press. Am still hoping for more input on this. Ideas, please! I can’t come up with a better term. But ultimately it is probably best to defer to each individual patient’s – another potentially loaded word for some – choice of nomenclature. We should respect the preferences of both those who feel they have earned the “survivor” title as well as those who reject heroic metaphors to describe their experiences with cancer. I was sensitized to this topic when I met with a group of Dutch cancer researchers, who said there is no concept of “cancer survivor” in Holland. In Holland, cancer is seen as a disease that you seek/endure treatment for and stay quiet about — you die or you live, without fanfare. These researchers admired Lance Armstrong’s Livestrong leadership as well as all the walks, runs, marches “against cancer” that we have here in the U.S.
One of the researchers talked about her latest project: contacting people who have been treated for cancer to find out their current health status. These former cancer patients respond with gusto, answering all the questions on the mailed form and attaching personal notes about how grateful they are to be asked. They want to share, they want to talk about the lingering symptoms, they want to talk about their mental health but nobody asks. This story goes straight to what I’m seeing in my research: Chronic disease has an independent, positive effect on a U.S. internet user’s likelihood to blog, to comment, to engage with other patients in sharing knowledge and experience. Yes, the Pew Internet Project’s research is limited to the U.S., but this story from Holland and my observations from attending the Health 2.0 EU conference tell me that this interest in participation and conversation could be widespread. The internet provides tools for people to share stories, to share data, to share options and to comment on what others have said. So, as we debate the term “survivor” please know that other cultures and countries may be watching with great interest. What’s wrong with surviving cancer, just like you survive other traumatic events in your life? For many, cancer will be at the apex of these traumatic events, but for many others surviving other events will be more difficult over time. As long as we do not associate the term with the militaristic metaphor of “the war on cancer” the term survivor seems to me to be as apt as any other. Networked cancer patients seems to accept the term, in general, just as they seem to stay away from “victim”, a term that belonged to the era of paternalistic medicine. The term “survivor” is empowering to the people fighting the disease. Those of us who have had it know that the first thing we must bring to the battle is a positive mindset – to prepare ourselves for treatment and a lifetime of subsequent choices that will keep us alive and well able to still partake in the company of our loved ones and friends. I subscribe to the unwavering belief that I will survive this through healthy choices and lifestyle changes and of course ongoing preventative treatment under the supervision of an excellent oncologist. I don’t embrace terms like “remission” as if I am sitting here waiting for the shoe to drop. The fact is I am not. For those of you that have not been through this – you are blessed – and may you remain so! But please don’t criticize the choice I have made in celebrating my wellness. I invite you to walk a mile in my shoes – I’m a proud survivor. I have never liked the “survivor” label, but find it onerous that people are put into these boxes and then get merit badges for whatever. I think there is a nasty moral imperative implied; it assumes that you buy into the war against cancer, the cancer money infrastructure, and that you are doing your part to beat it and join in. Perhaps people accept cancer and illness more in other countries as part of life. Cancer treatments are far from perfect. I feel for people who have to live on the edge of whether they will survive or die all the time. I wish that there was a heck of a lot more honesty and transparency about what cancer therapies can offer, what the side effects, and not the sense that if you don’t go for aggressive treatment, you’ll be abandoned. Then, it turns out in the US, you are not a survivor, you are made into an undeserving nothing. If I got cancer, I would definitely look for an oncologist like you. Thanks for thinking that “survivor” may not be what people want to be or wear “pink” or whatever the current fad is to belong. This is clearly a sensitive issue, and an important one. Your varied perspectives are helpful to me in considering the language that doctors and patients use when they speak about this. From personal experience and second hand experience with friends and relatives, I always cringe when people tell me I am cured or that I am a survivor. I know those undetectable cells are lurking in my body. All I can say with certainty is that I have cancer, and that I am alive. Treatment bought me a few years, though the first five were not pleasant due to side effects from medication. Most doctors I see remain super vigilant and I am constantly being confronted with scary moments that might not happen if I did not have a history of cancer. Not to be too pessimistic here, but three of my relatives who were “successfully treated” had recurrences 10 or 15 years later and died of metastatic cancer. First, your colleague was insensitive to act like it was no big deal for you to have breast cancer, and more than that, either had no idea what it is like to survive the treatment, lacking complete empathy. Patients want good bedside manner, which include empathy and understanding of the impact of the disease they are treating. I agree that the term “survivor” is not perfect and I think many women dislike the term for many of the reasons noted above, yet having a term is important to describe the altered health status we are left with after treatment. “Thriver” is the most commonly used term among survivors who don’t like the way survivor implies they are just holding on. We don’t want to be called cancer “patients” necessarily, especially if we don’t currently have the disease (unlike a cardiovascular patient who is living with disease). I like survivor better than the term “victim” that used to be the description. It’s also important to note that people used to be ashamed and not let those around them know they had cancer (and some still don’t), so being a proud survivor is as much of saying, “I’m not ashamed and want to help with awareness” as it is identifying with a group and thinking we are heroes of any kind. I had a discussion early on with a friend who has lived with a chronic illness for years around the idea of this “heroism” for living with a disease. I agree with the comments above. We have done nothing heroic-we are indeed often surviving some terrible side effects. We are not necessarily brave or courageous-we are just doing what we have to do to live. I feel my friend and others who are dealing with chronic illness deserve equal status and attention. On the other hand a term that brings people together who have experienced cancer, can be extremely positive. We can support each other and advocate for our needs. I have friends I never would have met, otherwise. We advocate for all survivors, regardless of the type of cancer. Voices of Survivors, a non-profit and website of the same name, is an example of how it brings together the voices of many in a positive light. The world of survivorship is quickly evolving, and because it has been widely adopted as a term, I use it (I am a wellness coach, speaker, and author in the area of survivorship). Lost in Transition, by the IOM highlighted the many needs of cancer survivors, and it is helpful to have a term that describes this area. I wanted to add that those who have been diagnosed with a major mental illness (at least here in Toronto, Canada) prefer to identify themselves as “consumer survivor(s)” rather than patient or client. And are offended if you refer to them as a patient or a client. Actually I recall that the term “survivor” has been used as far back as I remember even 40-years ago. Then it referred to (and still continues to) refer to a person who is superlatively strong and has the capacity to overcome an extremely challenging or life threatening experience. I remember my mother using the word. At the time I found it to be a word with a strong element of mystique, similar to for example the expression “femme fatale”. In fact I have a self-help/psychology book titled: “The Survivor Personality..” which considers those with a “survivor personality” as being people of extraordinary strength. In fact it identifies the traits and behaviours of the survivor personality. Undoubtedly so others can learn from such individuals. Yet I agree that the term “survivor” may carry a negative connotation, because over the years on a couple of occasions when I referred to an acquaintance as a “survivor”(I thought I was complimenting him) took offense. Because he interpreted it to mean someone who is in some way depleted or less because of their experience. I am careful to avoid using the term. And this was decades before I had need to become familiar with the term “survivor” in the context of breast cancer. One more thing….how I chanced upon this website (blog?) is because I was doing internet searches to see if there was any mention or reference to a mythological figure in any mythology which may have identified a female or a goddess with one breast. I did find a photograph of Aphrodite in which she is wearing a one-shoulder gown. But I have not yet been able to find what it symbolizes. I was dx with breast cancer in October and haven’t survived anything other than life. I had cancer, had it removed and am fine. I loathe the term survivor and find it incredibly demeaning. I had something wrong with me and had it treated. Now, had I gone through many onerous treatments and had a more complicated diagnosis, it might be applicable. However, it’s not for me. I tend to use the present progressive tense, both for myself (“I have had breast cancer”) and for describing patients’ medical histories (“He has had prostate cancer”. Katherine, Thanks for pointing us to the “metavivor” term and website. It’s a term that makes sense to me. I stumbled across this page by googling I don’t like the term cancer survivor. Truth is, I hate it. I think it’s grossly disrespectful to the family and friends of those who’ve died. Oh well, guess they didn’t have what it took to survive. Carcinogenic Darwinism at its finest, dontcha think? Meanwhile let’s all bow down to the pink ribbon and sing Hare Krishna, Carcinoma, Melanoma, Hare Hare. Also, does anyone stop to ask why breast cancer has taken center stage when it comes to cancer? Yay pink! Yesterday in my grocery store I could even buy a can of soup to support breast cancer. I had testicular cancer which seems fine and dandy, but who wants to wear a t-shirt or walk a mile for ball cancer? Nevermind that none of us would be here without testicles. The inner workings of a scrotum frankly aren’t as idolized by our culture as breasts, so breasts get the lead role. Oh well. As for an alternative to cancer survivor, I don’t know that I have one. My wife and I have always used cancer kid, mainly because this drums up images of poor little helpless bald kids and sympathy goes a long way. Kinda like Caillou only without eyebrows. Back when I was still waking up with crippling muscle spasms and downing Marinol like candy, we would talk about playing the cancer card. That’s when you casually let slip that you had been diagnosed with cancer if it gets you some social benefit. Thanks for giving me a platform to be crabby. As far as I can see, “survivor” is a very successful tool of the Susan G. Komen fundraising industry. I have so much respect for the productivity, creativity and tremendous power that is utilized so well by this organization. At the same time, the kind of sanctimony that this label carries alienates me in my healing process. My breasts were removed in February. I’m still alive in October. I’m uncertain about “survivor” being the best definition I can give myself. I don’t know that I want/need a label to define my place. I am too busy trying to get back to “normal”. I am a heart attack “survivor” and, I hasten to add, mighty glad to be described thus, especially when I consider the alternatives for many women. The reality is that, so far, I have survived what many do not. The stats on women’s cardiovascular disease are grim (this year, heart disease will kill six times more women than breast cancer will – in fact, more than all forms of cancer combined). Heart disease is a chronic and progressive disease, so there will be no five-year anniversary date to celebrate that I’ve ‘made it’ one day. As Brook points out: I “have had” a heart attack, but I certainly still “have” heart disease, no matter the semantics chosen to describe it. The only descriptor that actually makes me cranky is to be described as a heart attack “victim”. Aaarrrrrgggh…. The “cancer survivor” label has morphed, not just into “metavivor,” but also into “previvor,” which connotes one who hasn’t yet been even so much as diagnosed with BC, but is BRCA positive, so has an uncomfortably elevated risk. A survivor isn’t necessarily heroic at all, btw: survival can be pure luck, as when Godzilla’s foot comes down on the guy right next to you, but you’re okay. So far. Does that mean you’re a Godzilla previvor? Or, if the monster’s still rampaging, must you be, while running for shelter, considered a metavivor? Latin: sur-vive = to live on; i.e., while living, we are all survivors. Yes, we could use a better term. But what? And all that glue of repetition’s hard to melt. I am the daughter of a mother who passed away from Breast Cancer when she was 40, when I was just 8 years old. I’m now 55, and finished my Breast Cancer treatment 6 months ago. I always thought that I probably wouldn’t live as long as she did, that I was destined to get it as well. Consequently my yearly mammogram was always a “hold your breath” event, and not just when they were taking the images. It wasn’t until I passed my 40th birthday, that I entertained the idea that I might not get it, but that thought was still a “maybe” in my mind. I was finally able to exhale last June when the mammo finally showed a tumor.Yes, it was finally rearing it’s ugly head. I waited all my life for this moment! In hindsight, I see that I wasted a ton of worry and energy all those years and now that it’s here, there’s really only one thing to do and that’s do the treatment. Then see where the chips fall. I’ve had one mammo since I finished treatment and it was clear. Am I a “cancer survivor”? Someone told me that I must pass the 5 year mark before being labeled a survivor. a person who continues to function or prosper in spite of opposition, hardship, or setbacks. That sounds like Life to me. There isn’t one of us that can say we have not experienced opposition, hardship, or setbacks and came through still functioning. Perhaps better for having gone through it. So all of us are survivors it would seem, some with Cancer, some without. No “Survivor” is not the right word for a person with Cancer, who seems to be free of the disease, after a period of time. Now there’s a word that is truly worthy. Try this out on a few people and watch their reaction on their faces. Immeditately, you will see a frown, maybe worry, at the very least empathy for your situation. Wait, did they hear that I am a “Survivor?” Nope, all they heard was that you had Cancer and suffered greatly no doubt. My guess is that you will see truly heartfelt smiles. They’re really happy for you and can see that there is more to you than just the Cancer. They hear the word “touched” and “fine.” No empathy needed there. Some people would like others to know that they have fought a battle, want and welcome empathy. Those are the people who will continue to use the word “Survivor” when speaking about themselves. I prefer that I was “touched” and am fine now. I don’t want or need empathy, so when asked about having Cancer, I will use that phrase in regards to myself. But what you do with it that defines your life. No one so far has mentioned this excellent book on the subject, which I read during my bc treatments in 2007. “Speak the Language of Healing: Living With Breast Cancer Without Going to War” by Kuner, Orsborn, Quigley, Stroup. One woman in four will be diagnosed with breast cancer over the course of her life, yet the current language of cancer therapy is profoundly unfeminine, urging patients to take a macho stance and fight the “battle” of their lives. Many women say this military terminology makes them feel like they are at war with themselves, and that those who survive the competition are winners and those who die are losers. Speak the Language of Healing seeks to offer readers a new, replacement language of healing and learning. It contains a study guide with exercises and questions to be used as each chapter is read and shares the stories and insights of four baby boomers who were treated for breast cancer. Susan, Carol, Linda, and Karen hail from different spiritual backgrounds–one is Christian, one Jewish, one Sufi, and one 12-Step–but each sought to use cancer as a catalyst for a deeper understanding of life. These women suggest that one can take a spiritual journey through cancer and in the process gain a greater appreciation for the sacredness of each breath. At this time I’m treating this like a business transaction with risks to be taken, choices to be made, and much to be learned. I’m doing quite well I think. Your site tells me that I’m not the only one who feels that way and is very affirming. Thanks. Thanks for writing in. This post was dated a while back. Still, there’s no great answer – the subject isn’t settled. Now there are thrivers and metavivors, among others you might find. I apologize for not reading the entire thread, but here’s how I think and respond regarding having had breast cancer. I compare it to my brother-in-law’s history of breaking his collar bone; he has broken the same bone five times since childhood, but does that make him a “broken collar bone survivor?” He has a bone that has suffered some trauma, and may therefore be susceptible to injury again. May – or not. Today, while getting a massage at my cancer center from a fellow cancer “survivor” I had the epiphany: “cancer descendant.” We had talked about how much we both didn’t like the term “survivor” and she said a lot of patients she sees feel the same way. We are just lucky, that’s it. Being brave has not been proven to affect health outcomes. There are two things I like about “cancer descendant.” The first is the aspect of lineage – a direct connection that remains unbroken for the rest of our lives. The second is the familial implication. Don’t we often recognize each other like long-lost relatives? Would the term “pioneer” be appropriate? Individuals with cancer seem to be pioneers of the frontier — a cancer landscape that will one day be tamed. What about “veteran?” I, too, cringe when I hear or read the word “survivor” with reference to cancer and think “veteran” is an accurate term. It includes the idea of having extensive experience in a particular area, and for those who choose to “battle” it (another term I don’t like…I find myself “dealing” with cancer and the treatment rather than “battling”…) there is the military aspect. As stated in previous posts, “I had cancer” works, too, without attaching any subjective, emotion-laden tags. What about when you talk to others who’ve been through cancer who call themselves “survivors?” I am in that situation right now and have chosen to say nothing, figuring nothing positive would come from that discussion. I can cringe a little. Pick your “battles,” right? Although “veteran” is appropriate by definition, it is so commonly associated with war that it retains that connection in most people’s minds. Disavowing the militarism of the cancer experience is very difficult in our current American culture. A handful of people in the media with no personal experience of this idisease (or a lot of other things) can easily perpetuate this and other misnomers. When I am called a “survivor” I say I do not like that term and that everyone is surviving something. That doesn’t accomplish much except to point out that the speaker should not assume that that label is universally accepted. Some people may be surprised , embarrassed, or offended to be told that but how do you discourage the use of “survivor” if you don’t speak up when it matters? We are doing so here, albeit in a “safe” place. Openly discouraging the use of “survivor” among the healthy is a worthwhile and justified use of our Cancer Card. I am too aware of biology and the randomness of life to say I “had” cancer. In my mind, that is the same as saying I “had” four children. Despite being adults living on both coasts and the Midwest, I still “have” them and will never be “cured” of them. John, Patti and Barbara, I appreciate the new suggestions. Generally, agree w/ avoiding war-related terms, like “veteran,” but I see value in it – and the connotation isn’t necessarily military. I am back, not to make any new suggestions, but to share a link to an episode of a BBC podcast I subscribe to. This episode discusses the language used to refer to cancer, explains the surprising origin of the militaristic terminology and suggests alternatives. I listened to it last night and remembered this discussion thread. Here is the link: http://www.bbc.co.uk/podcasts/series/docarchive Title: The Rhetoric of Cancer, 19 November 2013. All terms for conditions and groups have entailments–there is surely no perfect solution. But it seems to me that the simpler, the better. “People who have been treated for breast cancer” or “people who have had breast cancer” seems neutral and descriptive–with the “treated for” having the least entailments (as in, it’s in the past and therefore “over”).